After Jesus died and rose again–after he was seen by more than 500 eyewitnesses–in his last day with his closest followers, Jesus took them aside for a final conversation. This must have been a very personal, very powerful conversation, packed with emotion and anticipation. Baptism is two things. First, baptism is a confession. Baptism represents, baptism tells everyone who watches you go under the water, that you belong to Jesus. Specifically, you are identifying yourself with Jesus. Just as a Red Sox hat identifies the wearer as a fan, just as a US flag identifies our Olympians as the American team, in the same way, baptism publicly identifies you with Jesus. So going under the water is identifying you with the death and burial of Jesus—the death that Jesus died on the cross as your substitute, carrying on himself your sin and your guilt and your shame. And then coming up out of the baptism water identifies you with the resurrection of Jesus, declaring to any who will listen that you’ve begun a totally new life. So baptism is a public announcement, a coming out party, confessing for all to see and hear that Jesus died for you. Baptism is first about confessing. And second, baptism is also about commitment. Commitment. 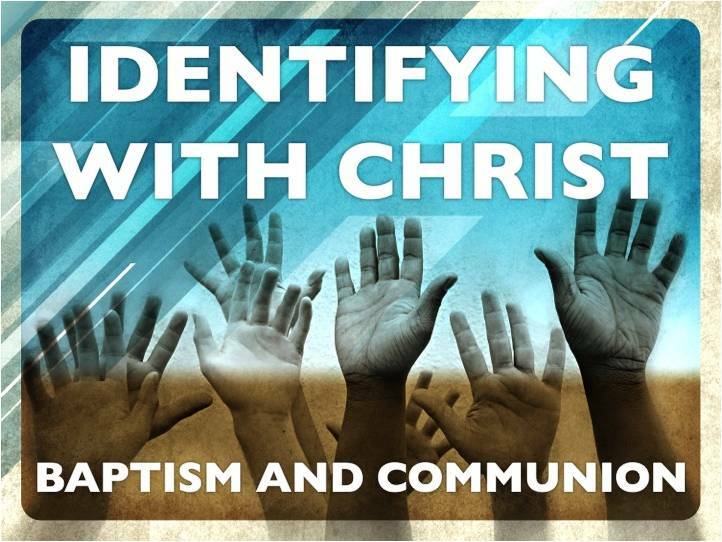 In identifying yourself as a believer in Jesus, baptism is also saying, loud and clear, that you are follower of Jesus. So your baptism calls you to live, to walk, to talk every day from now on in the same humble, trusting, grace of God that brought you to the cross for salvation in the first place. So your public baptism calls you out, calls you to commit your life from that point forward, to actually follow the one you say that you want follow. This is one of those cases where your actions speak louder than your words. But baptism is just one of the commands of Jesus that he told the 11 disciples to teach new disciples to obey. I won’t go into the whole list of his commands. I want to just focus on one more: Remember me. We call it Communion. Some call it The Lord’s Supper or the Lord’s Table. Some call it the Eucharist (or Thanksgiving meal), and others call it Breaking of Bread. Like Baptism, Communion is two things. First, Communion is all about remember. Remembering Jesus with bread that reminds us of his body offered, given as a sacrifice to pay for our sins. And the cup helps us in remembering his blood, shed for the forgiveness of our sins. Each time we take bread and this juice, we … remember. Remember Jesus and his death for us. So the bread and juice that we are about to share together is—just like baptism—a powerful symbolic proclamation identifying with the death of Jesus for helpless, hopeless sinners who needed a savior. And like baptism, communion is a simple but powerful symbol of what has already happened. So Baptism isn’t where you find Jesus. Baptism doesn’t save you. Baptism is what you do after you find Jesus. And Communion isn’t where you find forgiveness and salvation. Communion doesn’t save you. Communion is what you do after you find forgiveness and salvation at the cross. Since the fall of our ancient parents in the Garden, we are all wired to look inward for self- salvation. In the words of a 3-year old, “I can do it myself!” Our culture tells us to look inward for answers. But the gospel says, only Jesus is your savior because only Jesus solved your sin problem. So Jesus already did what you can never do: satisfy all the righteous demands of a just and holy God. Jesus already did for you what you cannot do for yourself: Pay for all of your sin and guilt, and restore your broken relationship with God. Jesus already did what you cannot do for yourself: cause you to be born again with totally new life, eternal life that starts now. So, out of love, we obey his commands: “Be baptized,” “Remember me.” The two ordinances of a Christian church. We offer baptism for believers based on their confession of faith in Jesus as their savior by getting into the water and getting dipped, dunked, submerged under the water. If you have not yet been baptized as a believer in Jesus, talk with one of the elders to get your questions answered about this important step of obedience and schedule your baptism. 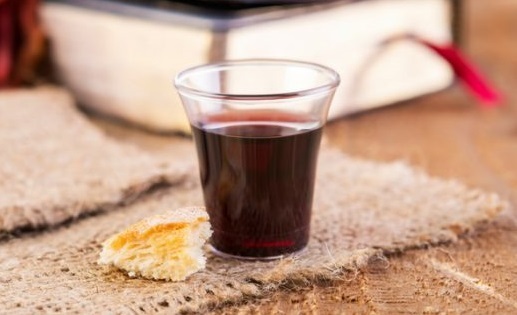 Remembering Jesus with bread and wine is a very important act of obedience to the commands of Jesus, and declaration of our love as followers of Jesus. So we do it every Sunday morning–at 9am in a unique meeting set aside just for that, and then again every Sunday at 10:45 in the Celebration & Growth service. All who proclaim Jesus as “The savior who died so I can be forgiven” are welcome to participate.